For a bonus this time, I bundled a Before & After with a Color Story : Inspiration series addition! 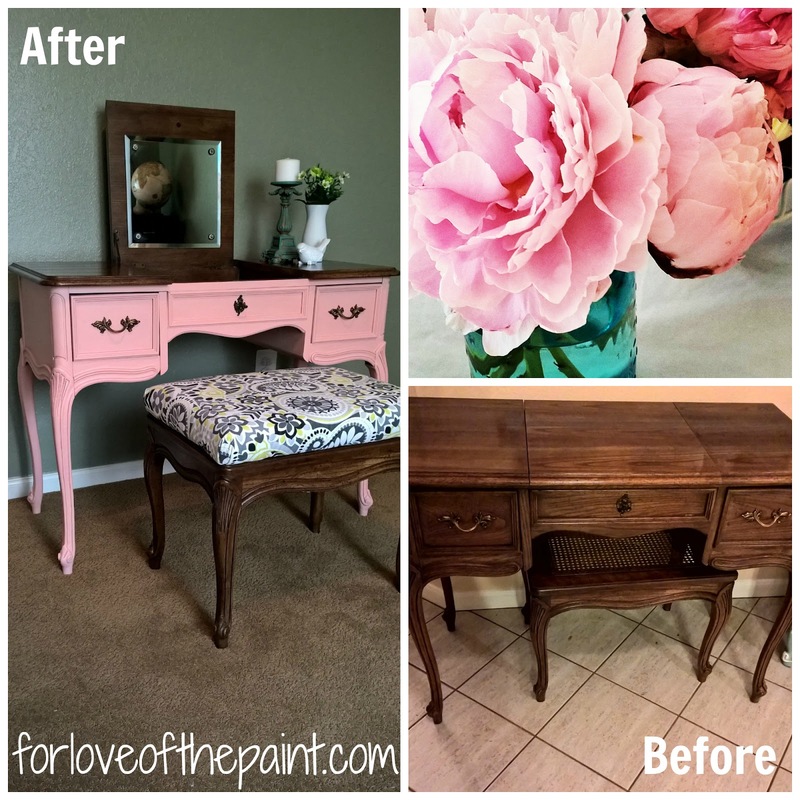 This French Provincial vanity was a gorgeous piece in a Dixie set I picked up, and one of my clients decided to have it painted in the same custom blend of Annie Sloan Scandinavian Pink and Old White as this dresser. We decided to leave the original vintage stain on the top and the legs of the stool, and paint the body of the vanity in that gorgeous coral/pink! This color reminds me of the soft and always en vogue peonies that are in season. The cane was wearing out on the stool, so we reinforced with a piece of plywood upholstered with a 2" foam pad, batting, and a chic, modern upholstery fabric the client selected. What a beautiful whimsical touch, while still classic and elegant! I love this style of vanity for its versatility as well - the top flips down and can be used as a desk surface. Perfection!